Summer in Manila is scorching. As in like very hot. Though, as per the weather agency, summer will soon end and we only have until the second week of June to enjoy or hate this climate. For other countries, summer is just starting; but for us here in the Philippines, summer is almost over. Anyways, do not overthink it, we have summer almost all year long with the exemptions of the days/ weekends/ weeks we have a tropical storm in our territory. We have officially the months of March, April and May as our summer months but in fact you can hit the beach almost any day of the year. All summer long, I’ve noted all the ice cream places I’ve visited. I’m no food blogger/ specialist but all of us have that foodie inside of us. Ice cream has always been my guilty pleasure and my to go to dessert (or sometime snack, lunch?). Aside from that, ice cream looks good on your Instagram feed. They are my favorite food subject for all those #Nomnom or #FoodPorn. Are you guilty of that? Yes, I am! 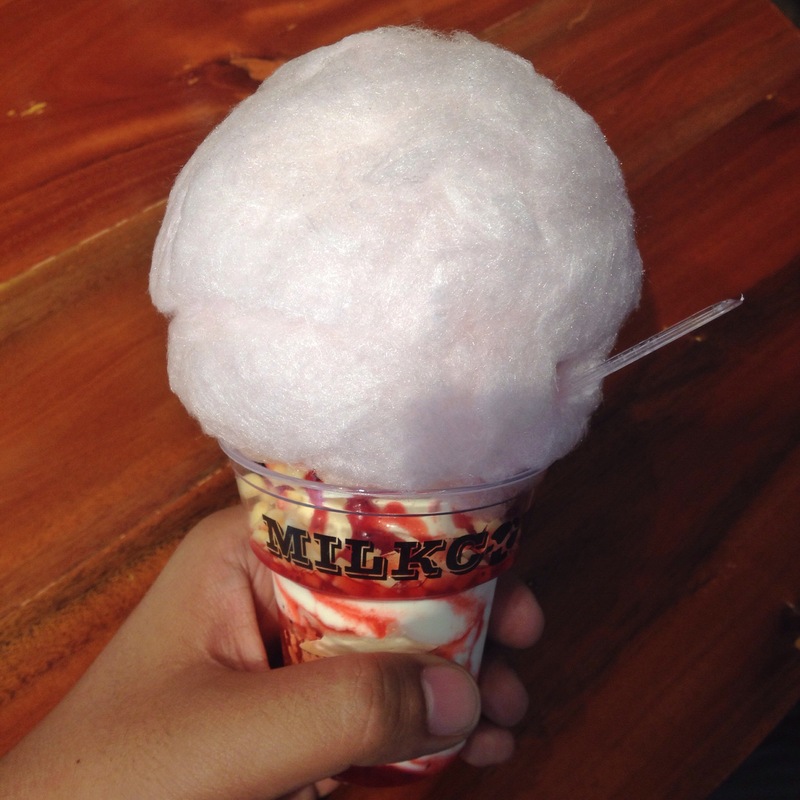 Milkcow is a popular ice cream chain from South Korea that serves soft serve ice creams. What makes it standout is the variety of unconventionally toppings that you can add or choose from like honeycomb, macarons, cotton candy among others. To make it easier for you, they have their menu so that you easily select which combinations you like. Not enough toppings or wanted that cute macaron on topof your sundae? Fret not as you can add those sweet things ala carte. 🙂 And Lee Jong Suk all over the shop, add on! Magpie Cafe is part of a new neighborhood food complex in Maginhawa Street called “Streat”. This cafe has some serious Korean vibe in it. Small space who can only accommodate less than 10 people at a time. Though it has a very limited sitting, that gives a relaxed vibe and ambiance. 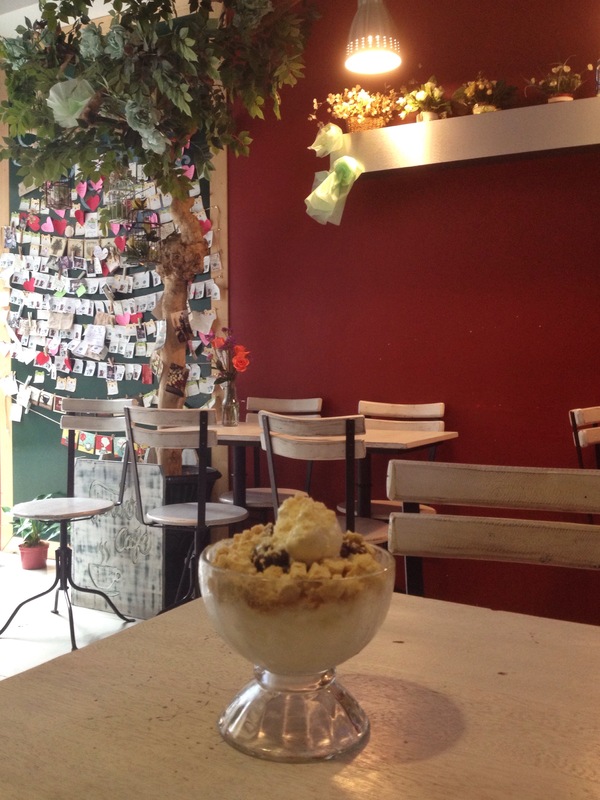 Magpie Cafe serves coffee, pastries and bingsu. Ever wonder what a magpie is? Magpie is actually a type of bird that can be found in Korea. 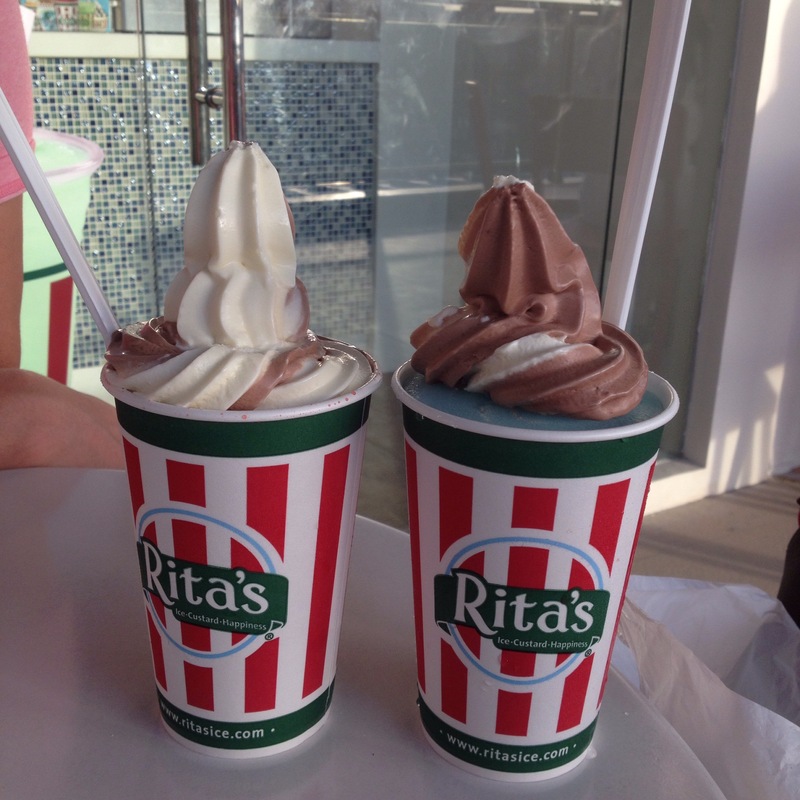 Rita’s Ice is a gelato parlor that originated in the Unites States but gelato are Italian desserts. You need to go to this place multiple times as they have great variety of things to offer. They have gelato, custards and all sorts of sweet things. You can even have a bubble gum flavored iced water! 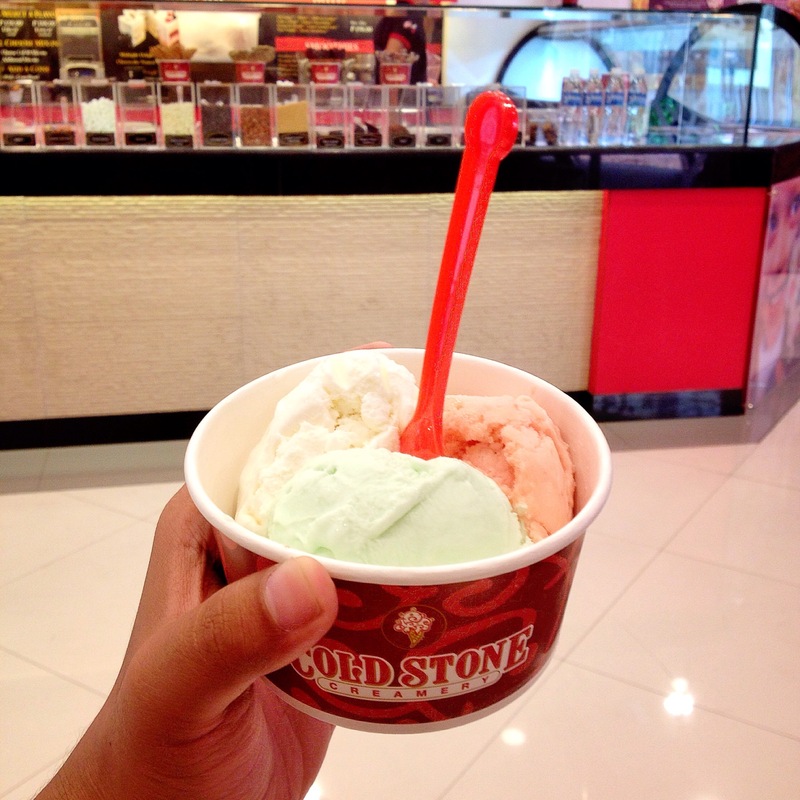 COLDSTONE CREAMERY – Branches all over Metro Manila. Variety. They have a lot! You can choose from all those flavors. Good thing is that you can have different size for your ice creams and you can try up to 5 flavors in one cup or serving. Craving for the same flavor? Worry not, just tell the them that you want all your 5 scoops with the same flavors. Just after they took your order and prepared the ice cream, make sure that you are literally ready to catch your ice cream as they will throw it to you. Don’t worry if the ice cream falls in the ground, they will make a fresh one for you. All just for fun! Ice cream made using some experiment and done in front of you. Think of Dexter’s Lab meets ice cream. Once you have ordered, they will make your ice cream while you wait. It’s not a long wait by the way, just around a minute or two. They just put the ingredients together and some cold smoke comes out from all the chemical reaction, viola you have your ice cream! One of my most fave coffee shops in Ortigas area, aside from the fact that the owner is very friendly and nice, Flafe offers different things and all sorts of Korean sweet treats. I have done an article about Flafe before. They have updated their menu, so when you haven’t visited Flafe the longest time, feel free to drop by and enjoy their new offerings. 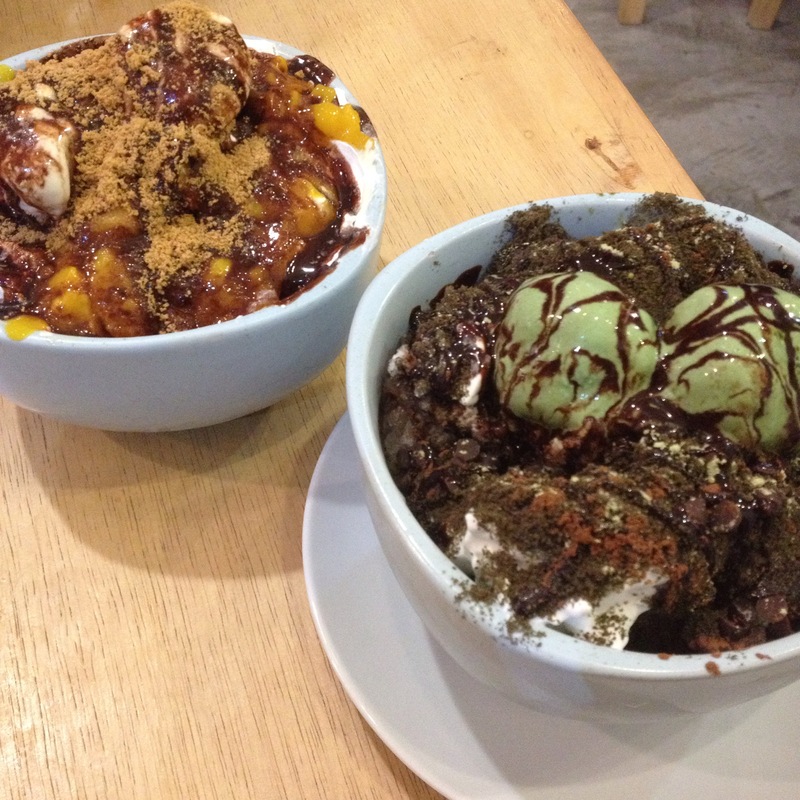 Of course, the patbingsus (bingsu) are a must-try. Pick a flower on your way out, they have such great flower arrangement. That’s a cute combination, flower and coffee! Shaved flavored ice are the best coolers. Every country in East and Southeast Asia has their own version of shaved ice. Snow Creme is a concept from Taiwan. Taiwan has been known as one of best shaved ice in the world. So it only means one thing. Try their milkteas and snacks too, you will not be disappointed. Caffe Bene is known as Korea’s most popular coffeehouse chain. No wonder why they are named such as. 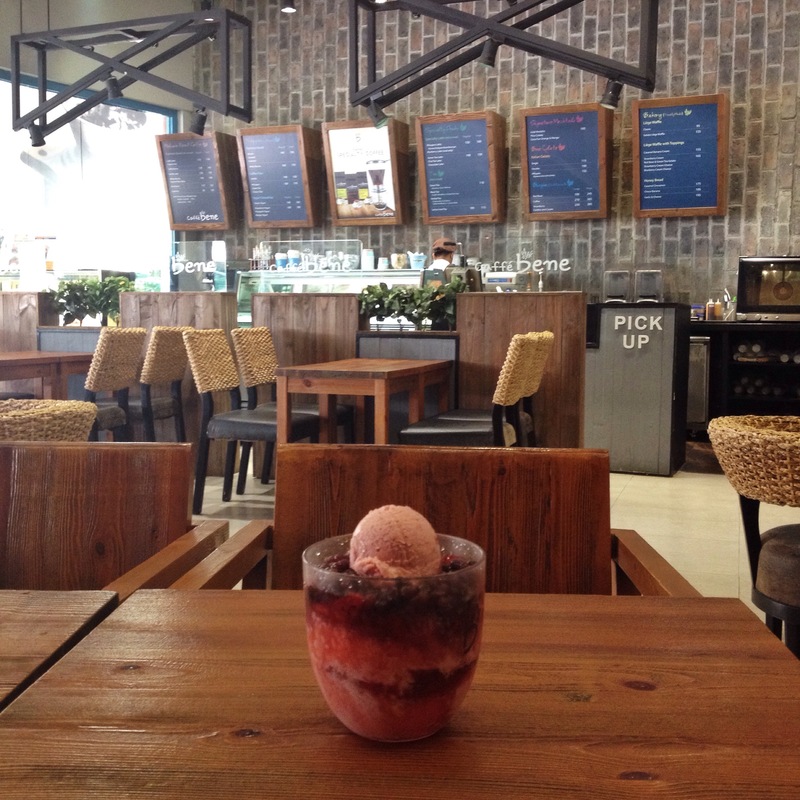 Aside from their very unique coffee offering, they also have tons of things to offer like gelato, toasts, pastries and bingsu! All items are Instagram worthy. Aside from how cool everything looks like, the taste is as cool. You want to stay in this coffee house as long as you can. Daydreaming like you are in a K-Drama scene. Literally, the ambiance is among the best I ever experience in a coffee shop. Or maybe at that time, it was not a primetime when we visited the place and we were the only visitors. Best time to visit is during opening time. Though Caffe Bene opens a little late for a coffee shop. Been eyeing this place for quite some time but always failed to go there as it’s either we already had dessert somewhere or my friend already have something in mind where to get their sweet fix. 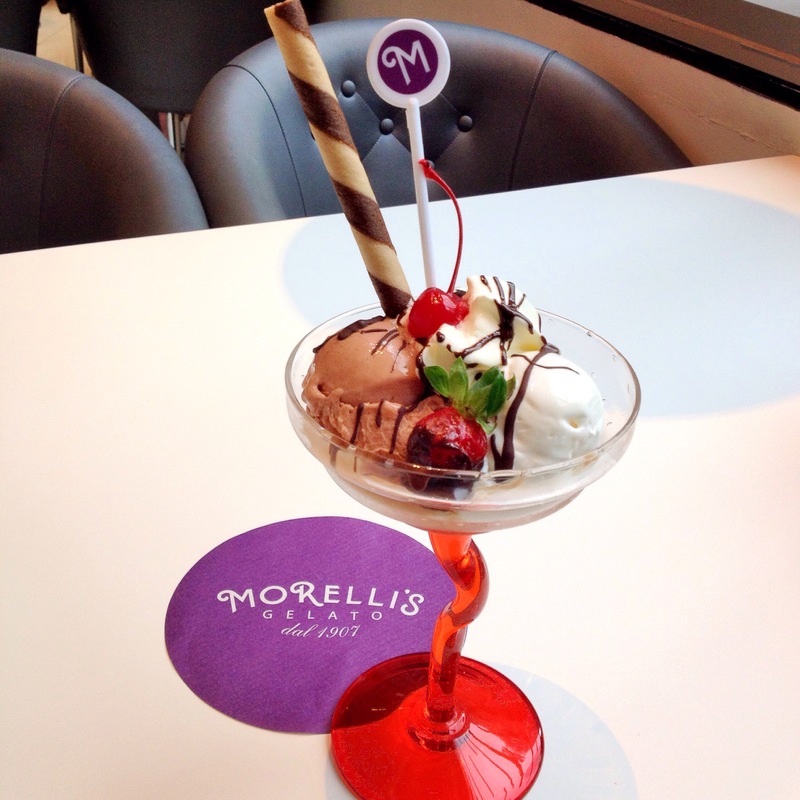 Morelli’s offers a great deal of classic sundaes in a very fancy packaging. Don’t be fooled by how it looks as how tasty and delicious their sundaes are, Morelli somehow is quite reasonable for it’s price. They have usual classics like chocolate & strawberry mix, you can order gelato by the scoop and correct me if I’m wrong as I might have seen someone having a banana split in Morelli’s? Think old school ice cream parlour. That’s heaven, right? Farmacy is the same group who are responsible behind Wildflour Cafe and Bakery. Farmacy indeed bring us back to the golden time of the 40s and 50s. Though it is not my generation, I can relate to the real ice cream classics. The classics really are for the young at heart and young alike. 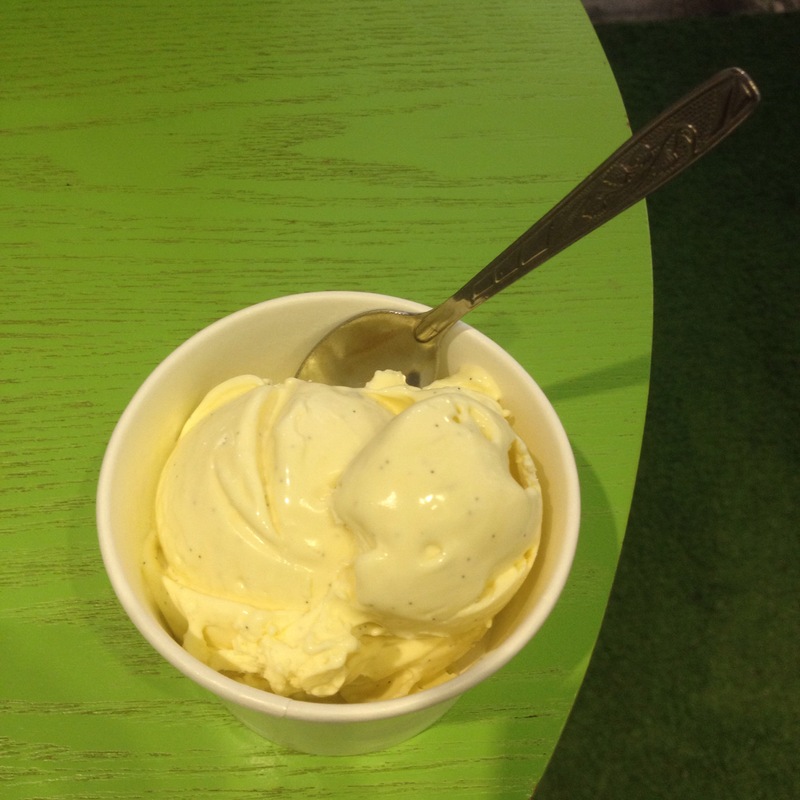 Classic knows no generation especially when we are talking about ice creams. Been here multiple times this summer, Cafe Seolhwa is a newly opened Korean desserts cafe. 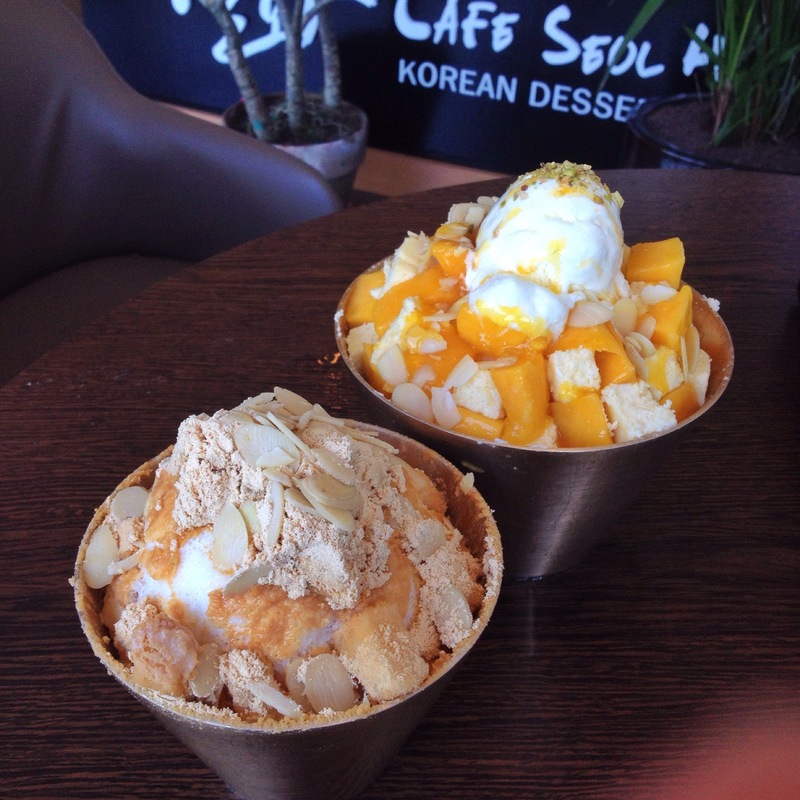 Cafe Seolhwa has been my automatic to go to desserts place for Summer 2015. I love everything this cafe offers but my forever favorites are the bingsus. 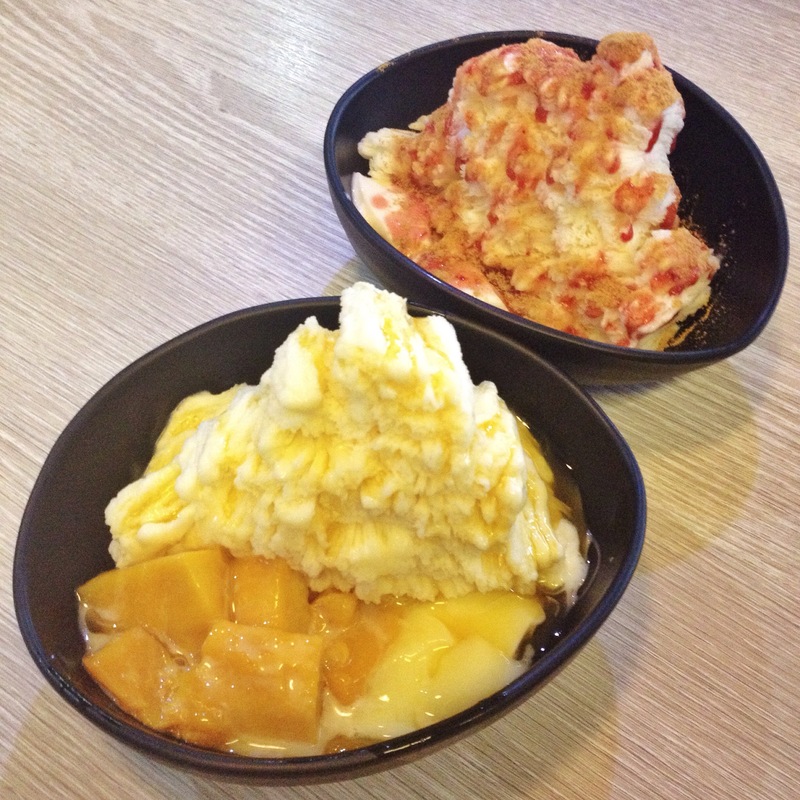 My recommendations: Injeolmi Bingsu and Mango Cheesecake Bingsu. 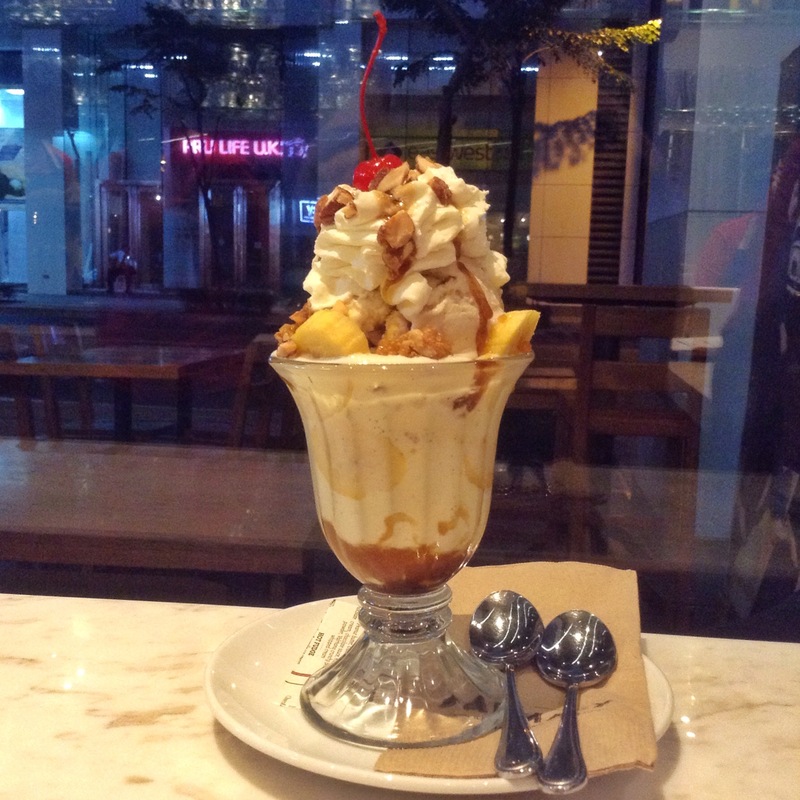 Not too late to have an ice cream and I hope I gave you an idea where to get that cold and sweet fix. Cue Red Velvet’s song “Ice Cream Cake”.